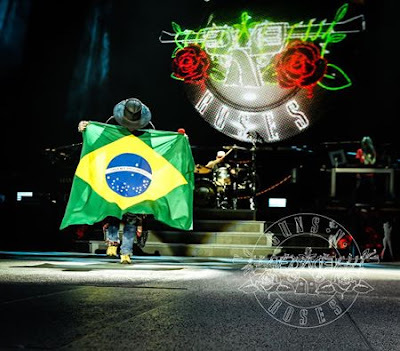 Guns N’ Roses brought the Not In This Lifetime tour to Brazil with a show at Estadio Beira-Rio in Porto Alegre on November 8, and video from the event has surfaced online. The event marked the first of six shows in Brazil, which now moves to Sao Paulo for two concerts before dates in Rio de Janeiro, Curitiba and Brasilia. Following the South American shows, Guns N’ Roses will resume the tour in the New Year with dates in Japan, New Zealand and Australia.